One of the Last 350's Built! Air Conditioned! ADS-B Out! SVT! WAAS! "......Some years ago, I bought a Columbia from another dealer and had it serviced by Van Bortel. Getting to know the Van Bortel folks, and the very high professional and ethical standards they maintain, I wrote them to say "wish I had bought a Van Bortel plane!" This time I did, and am very glad to have done so. 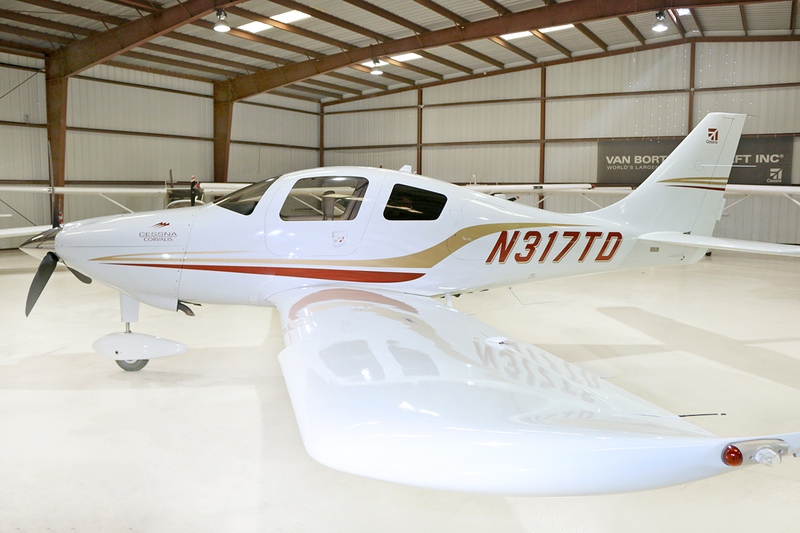 If you're in the market for a Columbia 350, 400 or Cessna TTx, I strongly encourage you to look first at Van Bortel. VB also has an interesting inventory of other planes worth exploring. Do yourself a favor and get a Van Bortel plane! -Mark Finkelstein"